GADSBY NICHOLS OFFER A FREE HOUSE SALE!!!!! As part of their continued support of local charities, Gadsby Nichols have offered an auction lot for a local fundraising event, comprising a commission-free house sale up to a maximum house price of £500,000 (five hundred thousand pounds). Please note, however, a condition of the auction is that the successful bidder will pay the winning bid within seven-days of the auction, and therefore upfront, which is irrespective of whether the property is sold or eventually withdrawn. 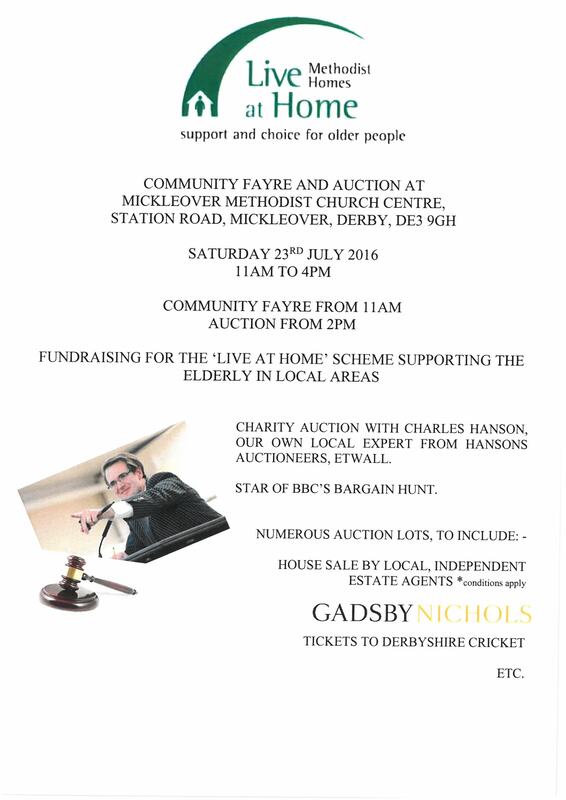 This innovative and valuable auction lot will be available at the Mickleover Live at Home charity auction, to be held on 23rd July 2016 at Mickleover Methodist Church Centre, Station Road, Mickleover, Derby from 11am to 4pm, with the auction starting at 2pm. There will also be a number of other excellent lots to bid for, with the auction being conducted by our own local celebrity expert, Charles Hanson on Hansons Auctioneers in Etwall, and star of the BBC’s Bargain Hunt. Therefore, why not come along and bid for this lot. Further details are available from the agents.